Ready to just jump in sommer? 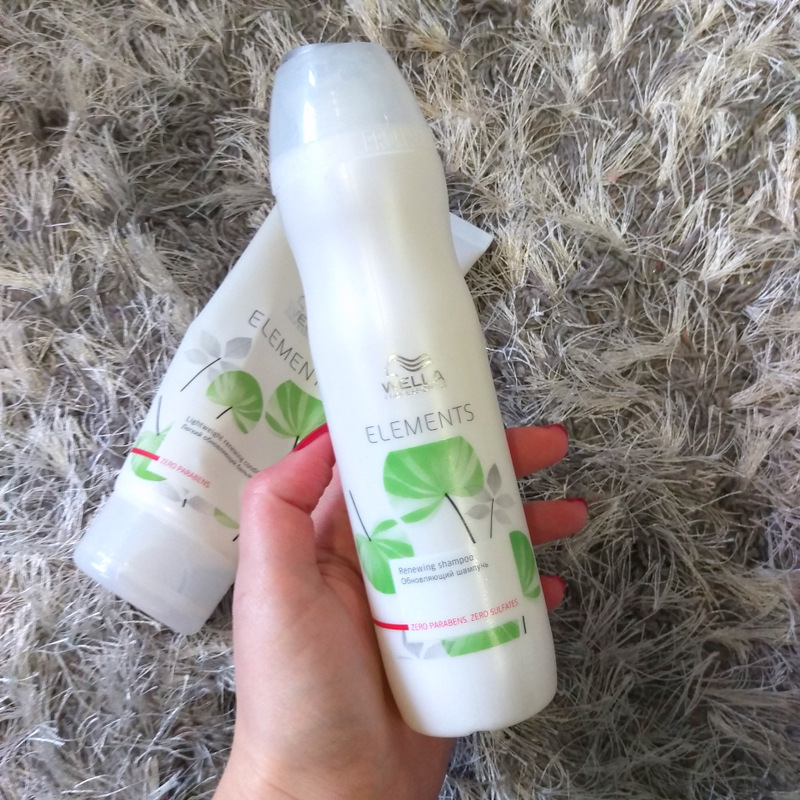 Wella have created a new nature-inspired professional hair care line called Professional Elements. Free of sulphates, parabens and artificial colours, it aims to strengthen your hair from within by fortifying its fibres with keratin. I’ve been using the sham (R207) and con (R243) for a month now and really liked the both of them. They’re lightweight enough not to leave my fine, pin-straight hair looking lomp when dry, but have enough nourishing shizzle in it to make it easy to brush while wet. You can see the conditioner’s pretty much all squeezed out. Also in the line up is a mask (R252) that I’m yet to try and a spray-con (R252) which is also lovely and light, serving up just the right amount of moisture, but no more so than one from a less pricy brand that I tear through at the rate of knots. To find a Wella Professionals salon stockist in your area get clicky clicky here. Something else I’ve tried and liked? 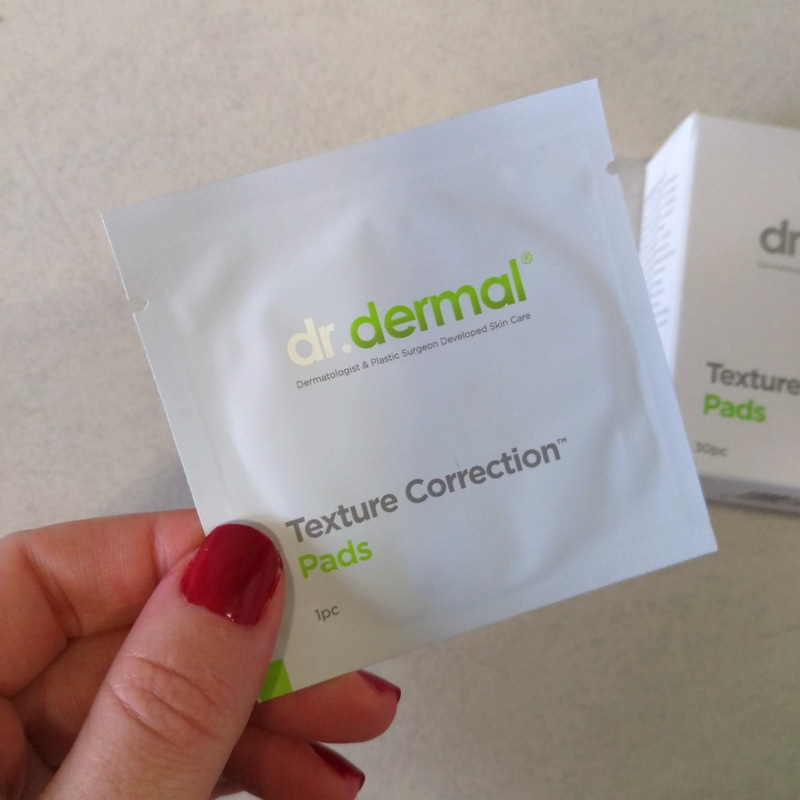 Dr. Dermal Texture Correction Pads (R475 for 30 individually wrapped pads). Created by a dermatologist and plastic surgeon and – wait for it – proudly South African, they’re essentially AHA-infused pads that make it easy to swipe the watery, non-sticky formula all over your gesig. You could get many of the same ingredients in a lotion format, but there’s something about a super easy wipe and go format that I adore. They now live next to my bed for use every other night and, due to the ease of use, I’m less likely to just black out as opposed to look after my skin. 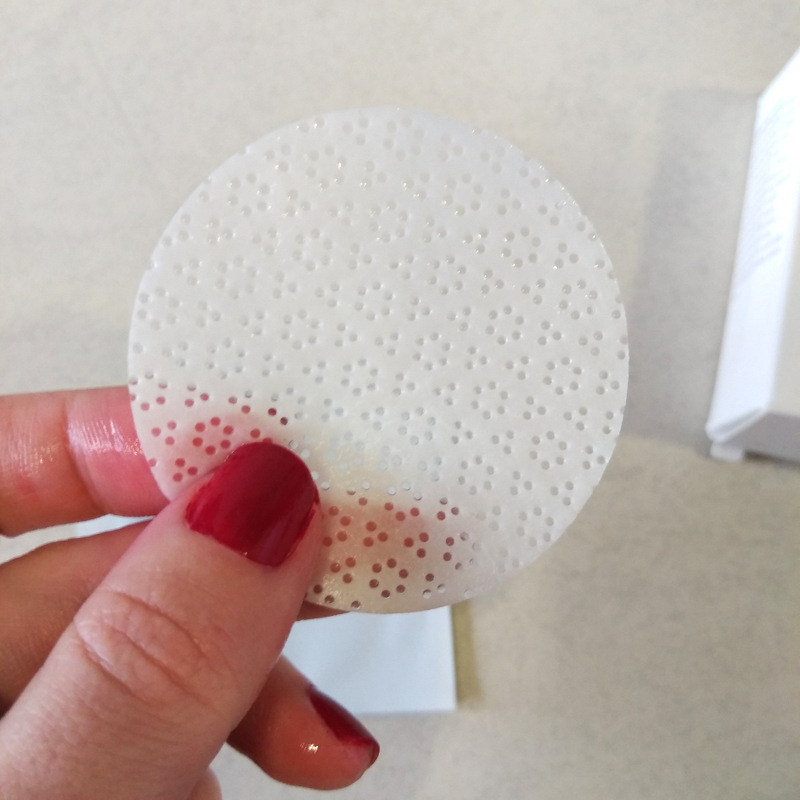 Each pad is wet enough to do your whole face and a bit of your decolletage too. Formulation-wise, you’re looking at a mix of glycolic acid in a nice concentration (but no listed percentage) as well as mega-moisturising hyaluronic acid and a smattering of antioxidants that include vitamin E and B3 (niacinimide). I like that they really weren’t shy with the acid. It did a good job of sizzling away the dry, flaky skin left on my chin area after I’d attacked it with various spot-busters and sped up the healing time of any ‘marks’ that were left in a blemish’s wake. Last, but not least, Neutrogena have launched yet another cleanser to love – Visibly Clear Spot Clearing facial wash (price TBA). 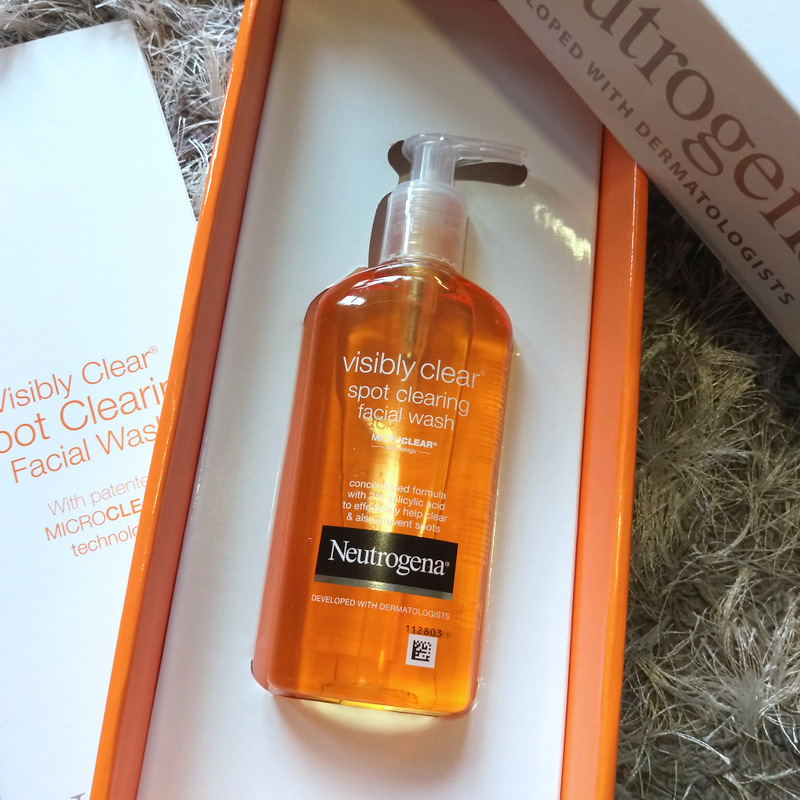 Neutrogena Visibly Clear Spot Clearing facial wash.
Quite simply, Visibly Clear orange (as I’ve come to call it) is pretty much the unscented version of their popular pink grapefruit wash that just so happens to be my personal favourite. Still, it’s nice that this exists as I know a billion boy’s would love to benefit from its pore-exfoliating formula but aren’t so keen on having a pink product sitting in their shower. See anything you’d be keen to try yourself? Thanks for the heads up of the new facial wash. Grant had forbidden me to use the grapefruit one. He hates it and says it smells like feet….